The screenshots below show you the main screens of diviz. 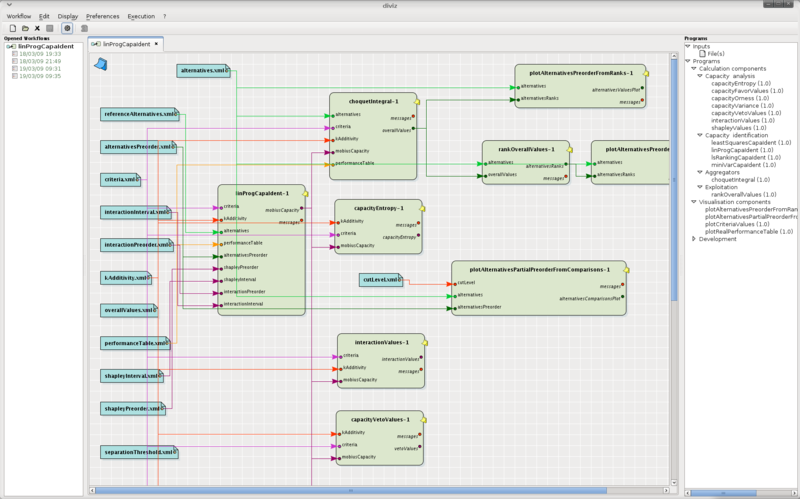 Example of a workflow created with diviz containing multiple elementary MCDA components. On the left pane, one can see the name of the workflow in bold (linProgCapaIdent), and below the different executions of this workflow. 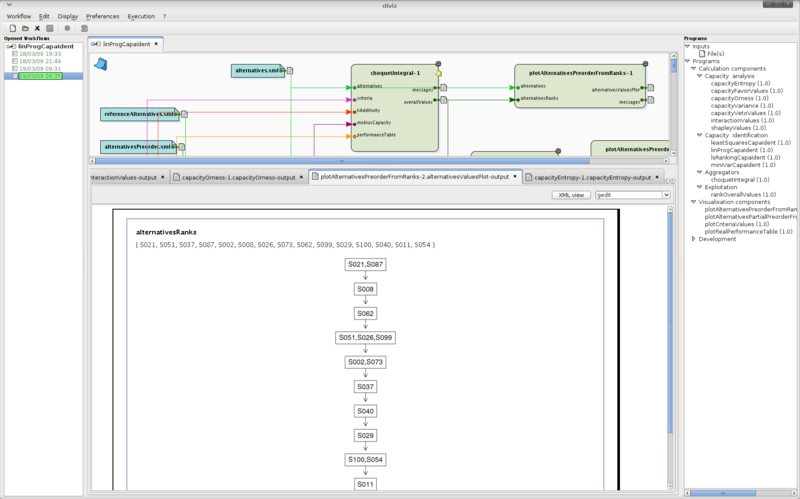 In the right pane, one can see the various elementary MCDA components which are available and which can be dragged into the workspace (center). The data files are represented in blue. One can see that each elementary component requires certain input data elements and produces other output data elements (represented by colored circles). These are written according to the XMCDA standard. Representation of a preorder, which is the output of one of the elementary MCDA components. The output of the elementary MCDA component called plotAlternativesPerformancesFromRanks is the plot of a preorder of alternatives, based on the ranks of the alternatives, which is shown in the result panel. Representation of a performance table, which is generated by one of the elementary MCDA components. 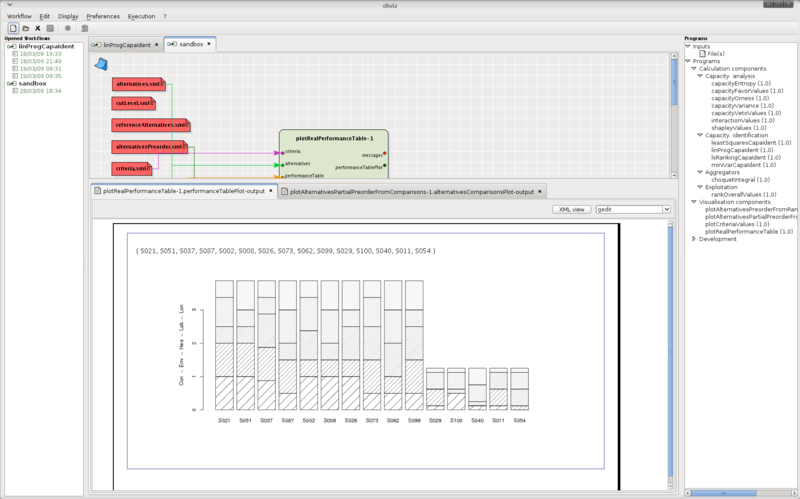 The output of the elementary MCDA component called plotRealPerformanceTable is the bar chart a performance table (grouped by the alternatives), which is shown in the result panel.